What a difference an ‘A’ makes. With funding for state education under unprecedented pressure on both sides of the Atlantic, the squeeze on so-called ‘fringe’ arts subjects has begun in earnest. Early specialisation is being encouraged and arts programmes are already being dropped from school curricula in order to focus resources on Science, Technology, Engineering and Mathematics – the so-called STEM subjects. The reality is a little different – but don’t take our word for it. Barack Obama was an unprecedented advocate for the arts in the White House, stating that: ‘In addition to giving our children the science and math skills they need to compete in the new global context, we should also encourage the ability to think creatively that comes from a meaningful arts education.’ His Committee on The Arts and Humanities made several strong recommendations to this end. We couldn’t agree more. 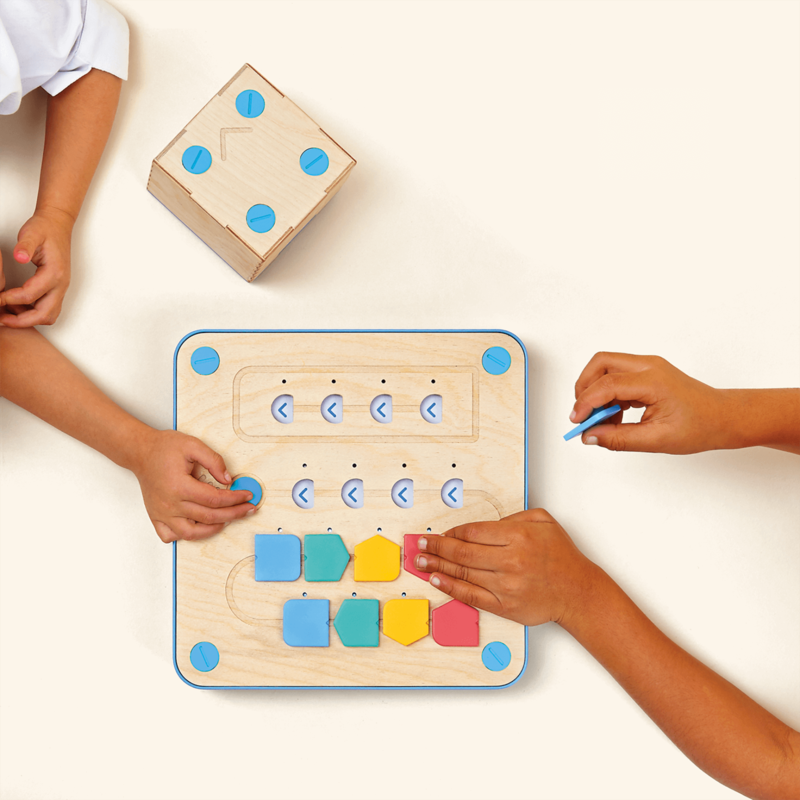 As we’ll be exploring, the two can work together hand in hand, and there are certain educational toys that can help. Arts and crafts are just as central to children’s development as traditional STEM subjects. 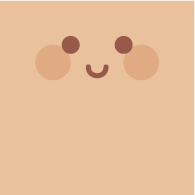 Click & Tweet! After all, they’ve laid the foundations for some of the world’s greatest polymaths and geniuses. 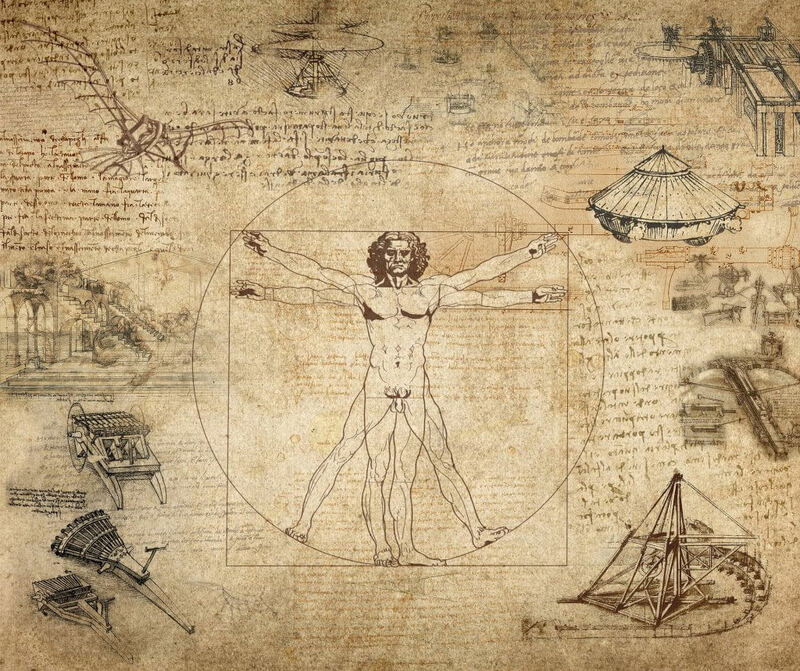 Anyone who regards science and the arts as mutually exclusive would do well to think of the example set by Leonardo Da Vinci. Inventor. Engineer. Mathematician. Botanist. Astronomer. Geologer. Anatomist. We could go on, but in essence the original Renaissance Man was a one-man STEAM engine who drafted prototypes for helicopters, parachutes and revolving bridges, and also found time to be the greatest artist of his age –The Last Supper, Mona Lisa, The Vitruvian Man, you know the score. While many of his scientific observations were never published, they show a mind open to everything. Leonardo wasn’t the first of the arts-and-science polymaths. Twelfth-century Benedictine Abbess St Hildegard of Bingen wrote poetry, songs and what many argue was the first morality play, Ordo Virtutum, while pioneering the study of natural history through her work in the abbey’s infirmary and herbal garden. Nor was Da Vinci the last. In the 18th century, Mikhail Lomonosov wrote a hugely influential Russian grammar book, founded a factory that produced stained glass mosaics and discovered the law of Mass Conservation – a cornerstone of the study of chemical reactions. Later on came Samuel Morse, a prominent artist before he came up with the telegraph, Alexander Graham Bell, whose invention of the telephone was rooted in a musical game, and Samuel Beckett, an author vitally concerned with the nature of consciousness, perception and memory, whose works are much studied by neuroscientists keen to decipher how the brain works. A 2011 study found that Nobel laureates in the sciences are 17 times likelier than the average scientist to be a painter, 12 times as likely to be a poet, and four times as likely to be a musician. 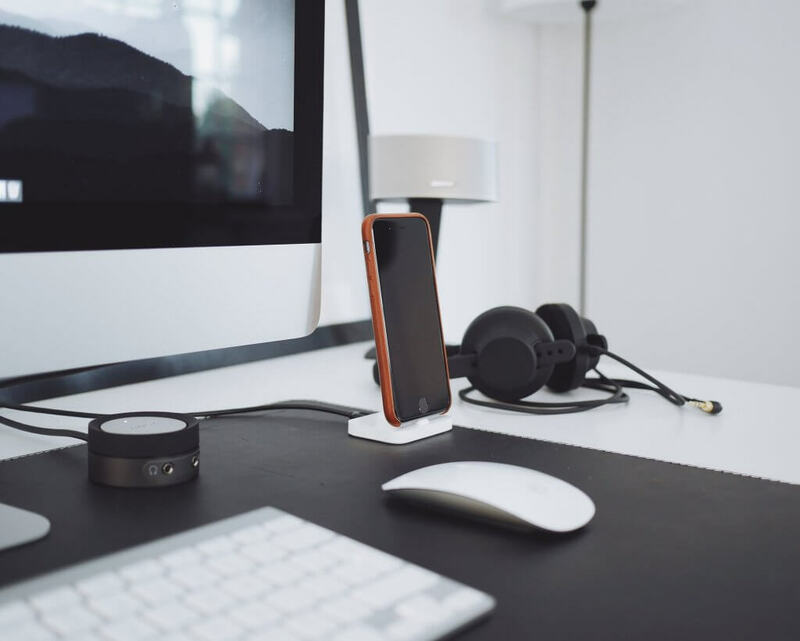 So many success stories of science and industry, from Apple to Ford to Google, pivot around turning functional items into aesthetic must-haves by seamlessly blending technology and artistry. So what does all this prove? Simply that both science and the arts should complement each other rather than be placed in artificial opposition Click & Tweet! . 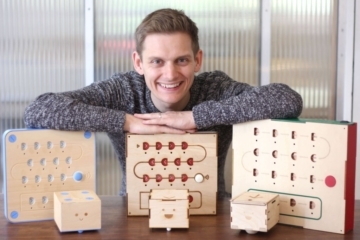 The subject has become such a hot potato in the US that a movement, spearheaded by academics and students at the Rhode Island School of Design (RIST), was founded to build a curriculum incorporating all five STEAM subjects. The rollout has already begun: if you have time, visit Stem to Steam for more inspiring examples of STEAM in practice. Even popular culture has taken note. Will.i.am is a vocal champion for the both arts and science, while in 2012, iconic PBS television series Sesame Street made the letter ‘A’ its unofficial letter of the year, actively incorporating the arts into its existing STEM focus. The centerpiece was Elmo: the Musical, in which the irresistible red muppet sang and danced his way to solving a range of mathematical and geometric problems. Incidentally, PBS has long been a strong supporter of the arts in child education. Check out their treasure trove of ideas and support here. In short, the will is there. But why the fuss? 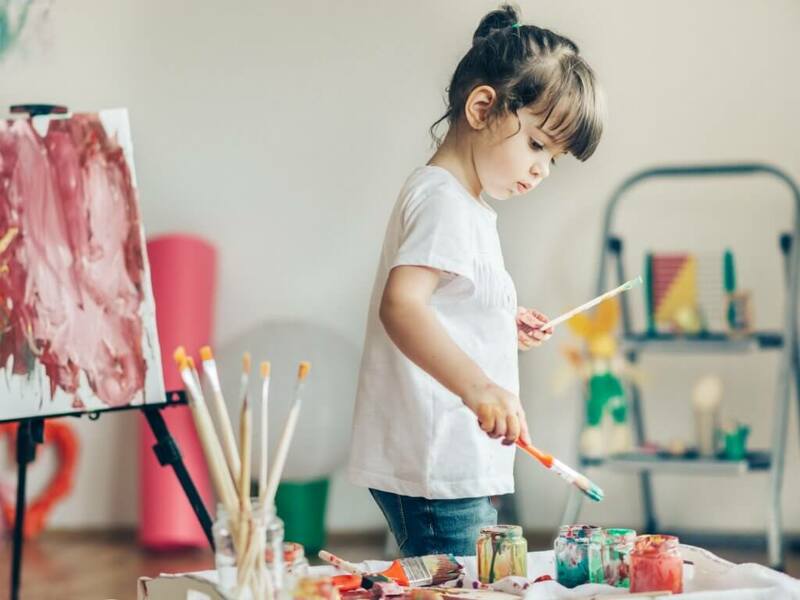 Dr Joan Bouza Koster’s book Growing Artists, first published in 1997 and now in its seventh edition, found that the arts are central to a child’s development Click & Tweet! , aiding intellectual growth, physical and emotional wellbeing, sensory perception, creativity and their sense of community. The arts are, in a sense, their first language. Like it or not, tangible yardsticks are the obsession of governments around the world, without whose support STEAM is more likely to have the staying power of, er, steam. So we thought we’d start with some actual, empirical evidence that the arts can assist with exams. Fortunately, there’s plenty of it. One pioneering 2002 study for the Arts Education Partnership, updated in 2010 to similar effect, found that students who received more arts education did better on standardised tests Click & Tweet! , improved their social skills and were more motivated than those who had reduced or no access. Another, from 2006 and part of a pilot programme from the Guggenheim Museum, found evidence that artists working in schools helped those students to perform better on six different categories of literacy and critical thinking than the children with whom they didn’t work. And a third study, from 2011, backed by the President’s Committee on the Arts and the Humanities and centred on the Maryland school system, found that skills learnt in the visual arts could help with reading, while those learning music could turn the same skills to mathematics. Harvard Emeritus Professor Dr Jerome Kagan concurred. ‘Art and music require the use of both schematic and procedural knowledge and, therefore, amplify a child’s understanding of self and the world,’ he said at the John Hopkins Learning, Arts, and the Brain Summit in 2009. A four-year study from 2009, meanwhile, found that arts education could even rewire the brain, with music students more able to transfer their motor skills. Another discovered that those practicing a specific art form over a period of time benefitted from better attention spans and even improved fluid IQ scores. And let’s not forget the educators themselves. One study of students at 12 New York, Connecticut, Virginia and South Carolina schools found that educators at schools emphasising arts education enjoyed greater job satisfaction, were more interested in their work and more likely to be innovative. And happier educators generally mean happier kids. ‘No man is an island,’ as John Donne, a poet not above the odd scientific flight of fancy himself, famously observed. So what are the benefits of arts and crafts in education to wider society? A 2005 RAND Corporation study found that access to arts education helped level the playing field between children from lower-income families and better-off kids who might be more regularly exposed to the arts. Evidence of the positive effect of arts education on delinquency, truancy and dropout rates has been gathered from Florida to Missouri and beyond – great for the kids themselves, and no bad thing for the local community. In a sense, this is the easy bit. 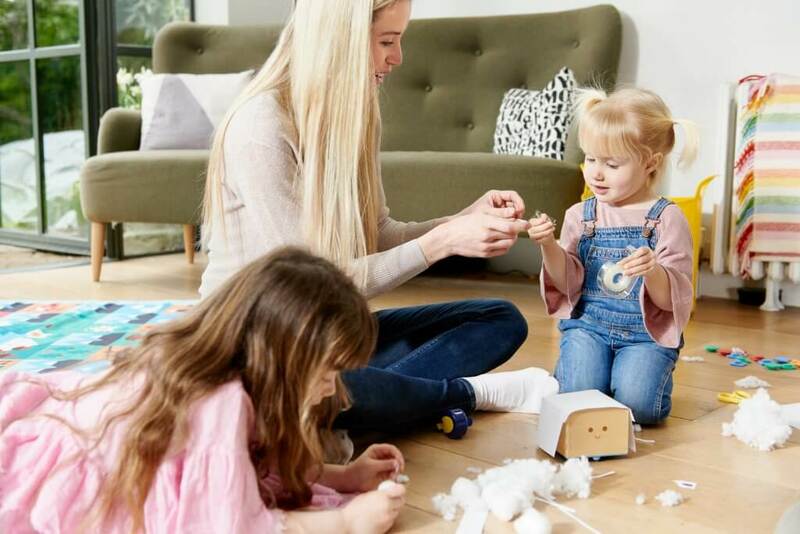 Helping children with arts and crafts just requires the basics, along with a little imagination and perhaps some STEM toys for toddlers. Above all, personal development shouldn’t feel like a competition. So what are the best educational tools for toddlers? What are science and the arts about, if not exercising and testing the limits of our imaginations? At the Wolf Trap Institute in Virginia, artists have been collaborating with educators and working with kids on curriculums that, for example, combine dance with maths. 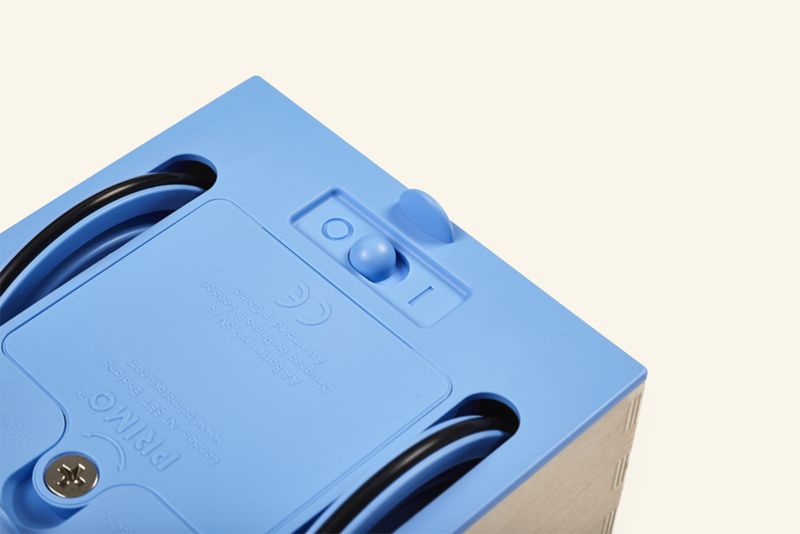 In Rhode Island, MIT researcher Jie Qui introduced students to paper-based electronics as part of her master’s thesis exploring the use of technology in expressive art. 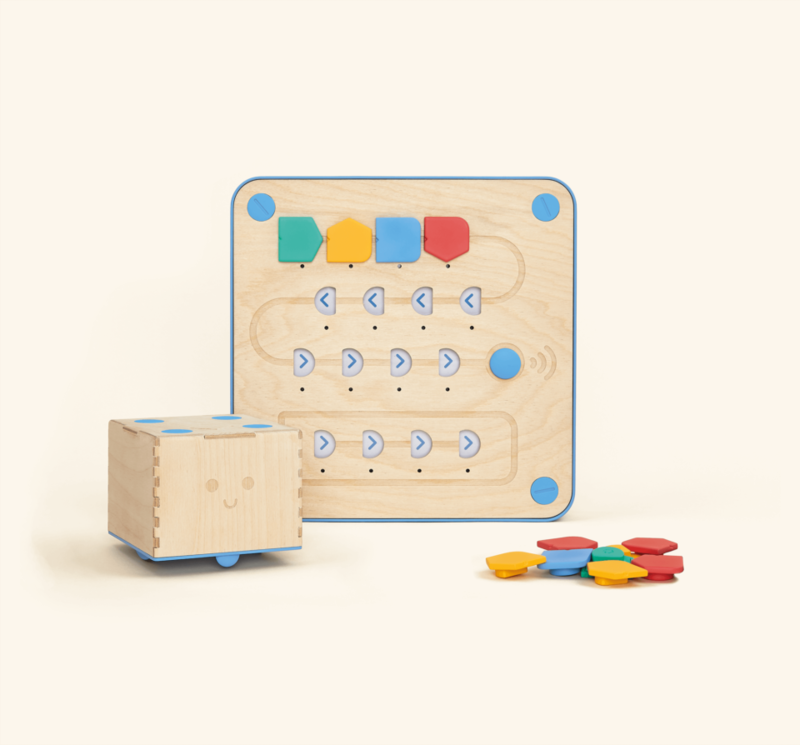 Educators at London’s Orchard Primary School use educational toys including Cubetto to introduce basic programming and coding to Key Stage 1 children. There are scores of examples and ideas of the arts and toddler learning systems in nurseries and childcare to be found here. At Primo Toys, we believe that playtime should be a shared experience. It’s important for children to learn the value of teamwork – tricky tasks are best accomplished by more than one person – and that person can just as easily be a parent or guardian as an educator. 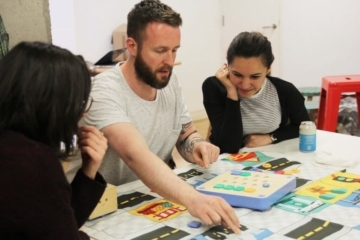 As part of a 2012 Demos study, Geethika Jayatilaka found there were significant benefits for both parents and children in playing together as part of the UK’s Parents as Partners project. This can be as simple as asking your child to describe a picture they’re drawing to asking about their methods – how they created this colour, or folded the paper like that. 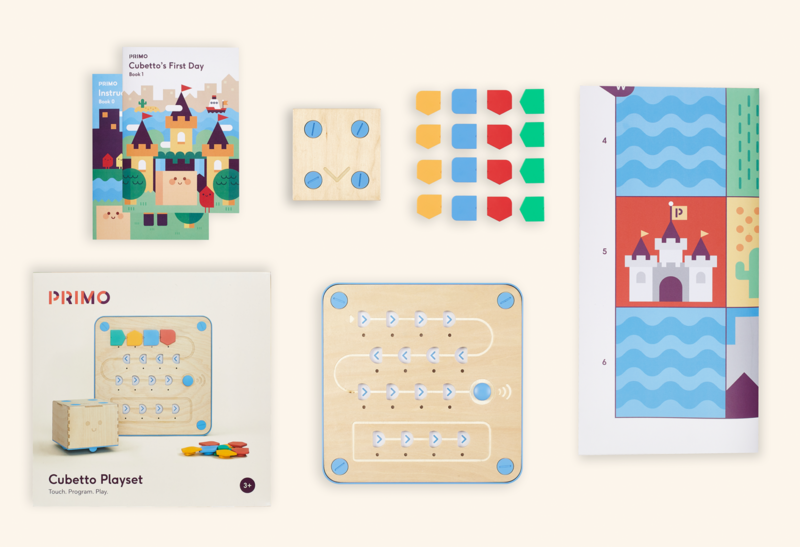 Cubetto can help, providing both a fun and productive way to play, learn and create together. 2. Cubetto can become Tintoretto, simply by attaching some crayons, pencils or felt tips then programming the toy to draw circles, squares… anything you like! 4. Cubetto is great for kids with special needs, too. For ideas and inspiration, take a look at all our DIY resources and see how ASD students, a SEN class and visually impaired children got on with the coding toy. Who knows? 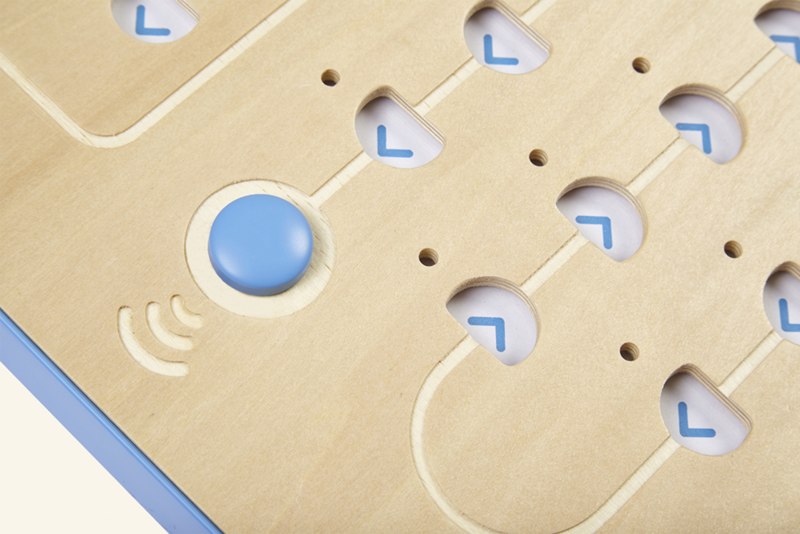 Your child could be a budding Leonardo or Morse. The most important thing, though, is to have fun doing it. Let us know how you get on over on Facebook, Twitter and Instagram, and happy playing! 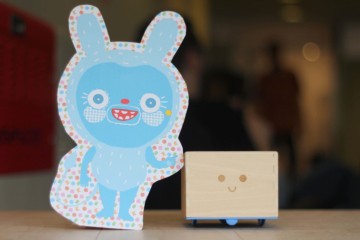 Primo Toys x Okido: Join Us for a Family Summer Party!